Elephant House is well known brand of Sri Lanka. 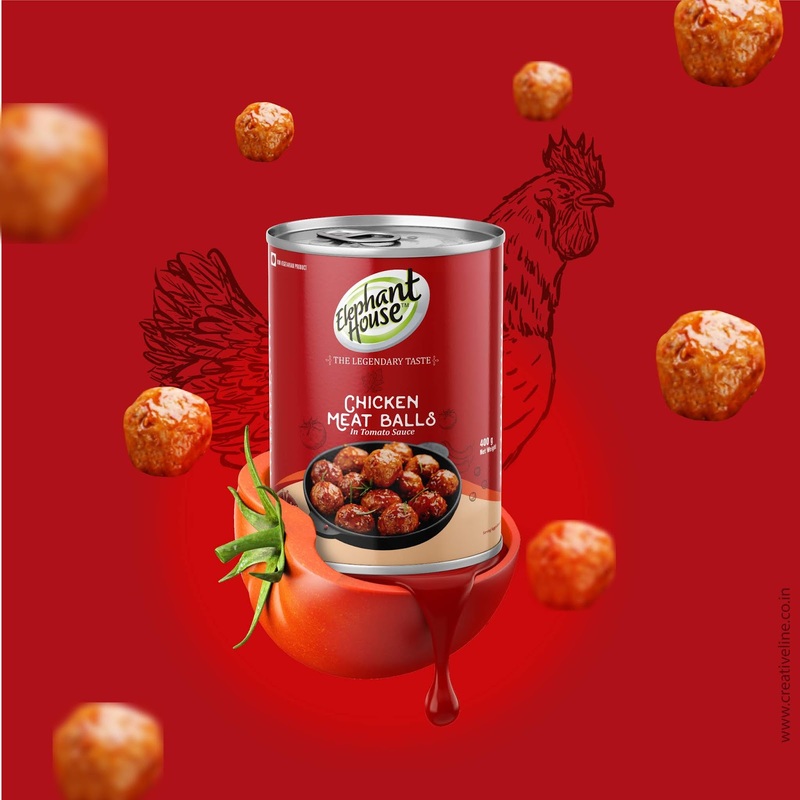 They have planned to launch there new product Chicken Meatballs in India. The Challenge is too make product looks different from the while it placed in shelf (retails). 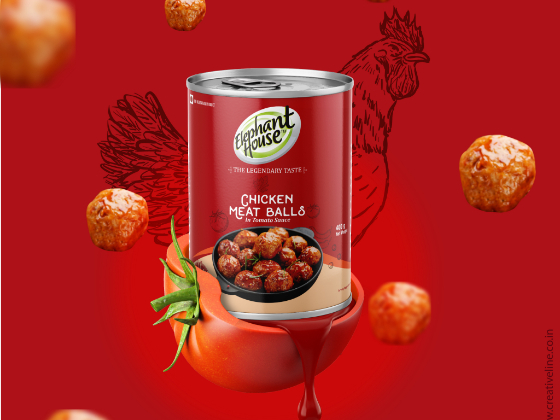 Elephant Chicken Meatballs are made with a custom blend of herbs and spices. The packaging consists of a basic pack with Aluminium Tin and the Glossy printed sticker with white offset printing.